We never have enough bookmarks at our house. It’s probably because I and my daughters always have several books-in-progress going on at the same time. I know we’re not the only ones. A lot of things can be used as bookmarks, such as scrap paper, folded Post-It Notes, or junk mail. But, I always prefer a real bookmark. 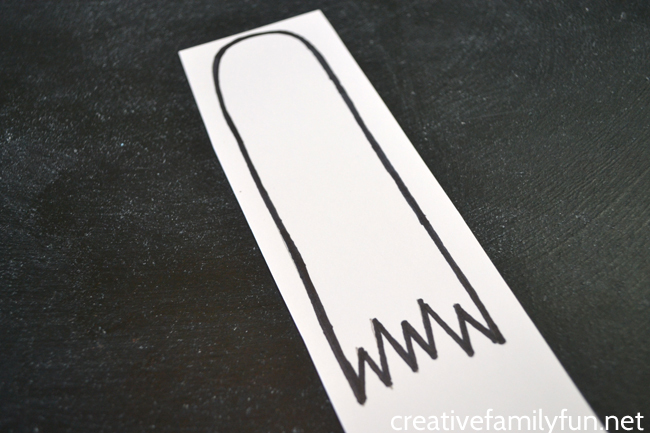 Free ones or store-bought ones both work, but I really prefer a fun homemade bookmark. And, since Halloween is coming up, it would be fun to have a spooky bookmark to slip in between the pages. 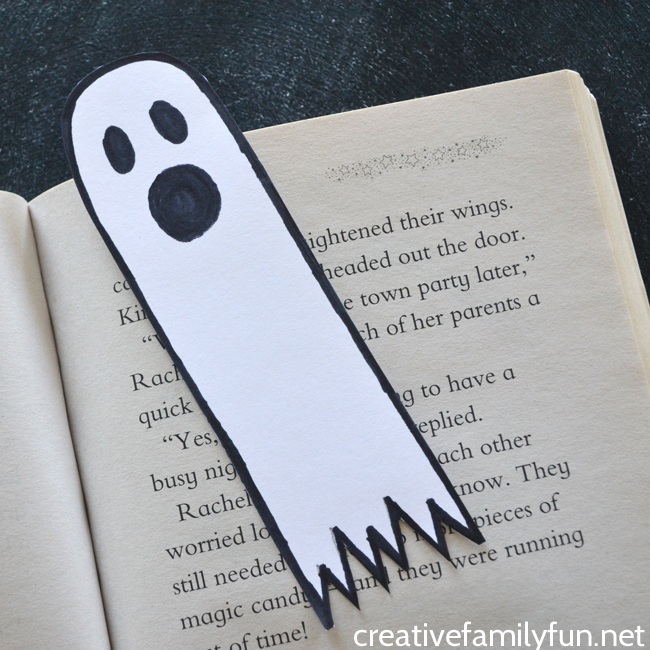 So, grab some supplies and lets make a fun Ghost Bookmark! 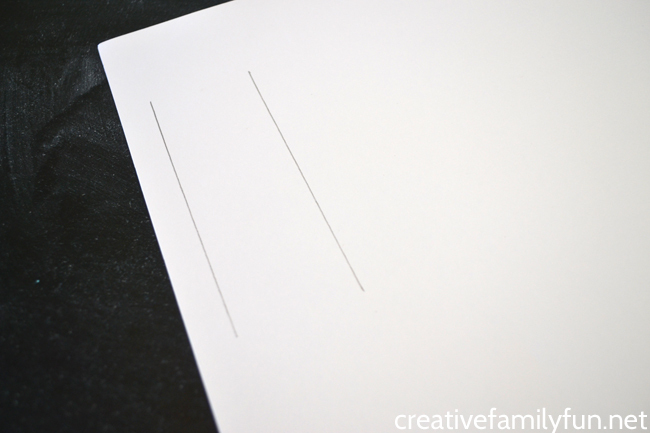 Using your ruler, draw two parallel lines on your white card stock. Each line should be approximately 4-1/2 inches long and 1-1/2 inches apart. Connect the two lines at the top with an arched line. Connect the two lines at the bottom with a jagged edge. 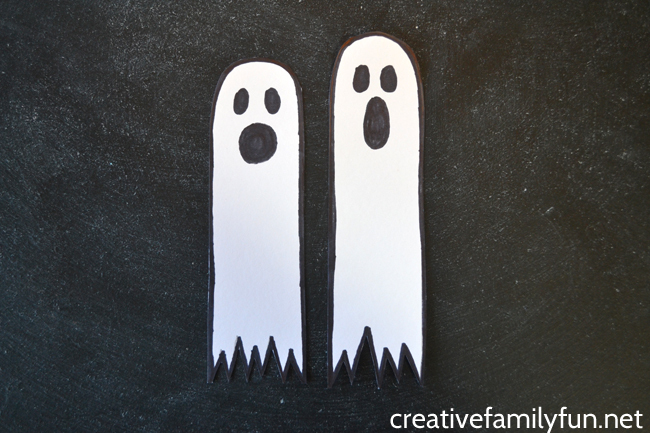 Trace around your ghost shape with a thick, black line. Use a thick marker or just trace over your line a few times. Next, make your ghost face near the curved top of your bookmark. Make it spooky or silly. 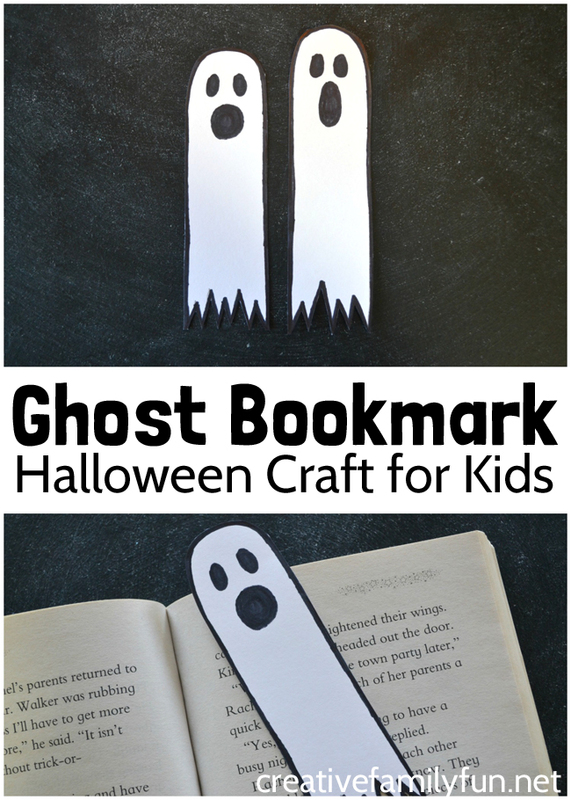 Or make a variety of fun ghost bookmarks! Finally, cut around the black edges of your ghost bookmark. Use your black marker to clean up any white edges that are left over when you’re done cutting. 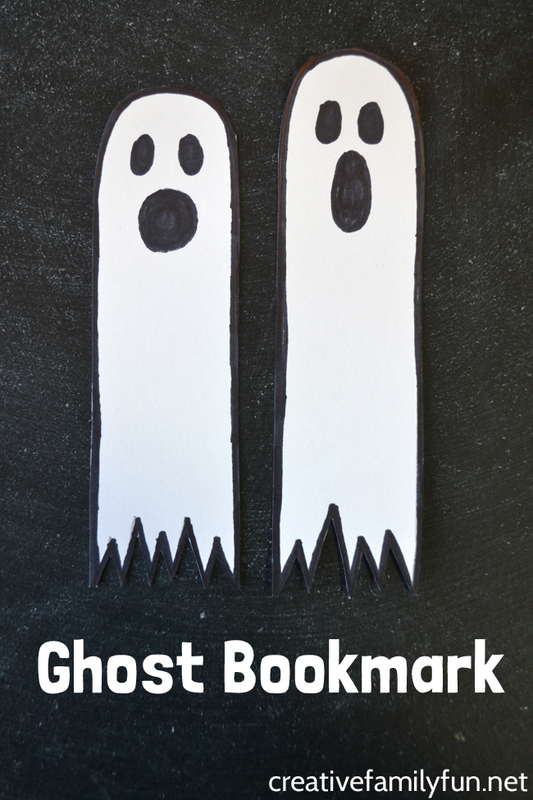 Save your place in your books this Halloween season with a fun, spooky bookmark. What book will you keep it in? 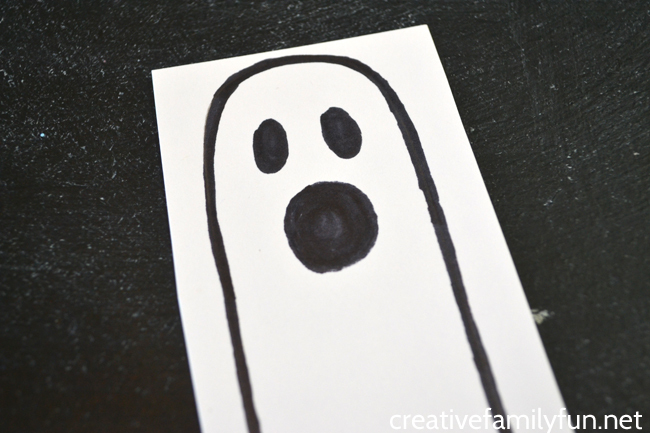 If you enjoyed this Ghost Bookmark Halloween craft for kids, the above photo is perfect for sharing on Facebook or you can save the photo below on Pinterest.